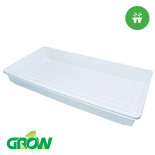 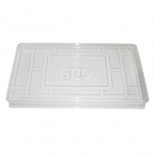 Plastic Tray Bottom (1020 Flat) Used to hold rockwool cubes, Jiffy pellets or soil for seed/cuttings. 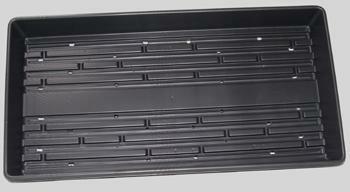 This tray has holes for drainage. 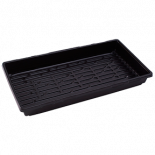 10" x 20" tray: Interior measurements are on the top 10 1/4 inches by 10 1/2 inches at the rim but the bottom interior is 10" x 20 " inches. 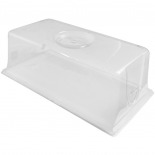 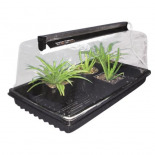 Active Aqua 25 Gal Reservoir 30" x 30" x 13"
Active Aqua 25 Gal Reservoir Cover 7" x 27"
T5 Fixture 8 Tube 46.25" x 24" x 2.37"